At Hughes Furniture we manufacture and supply furniture that is designed to help those who are suffering from cognitive and/or visual impairments created by dementia. 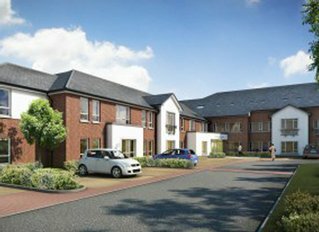 We have taken into account case studies like that done by Stirling University on dementia sufferers and how their daily lives can be made easier by making their “living spaces” more supportive and accessible. 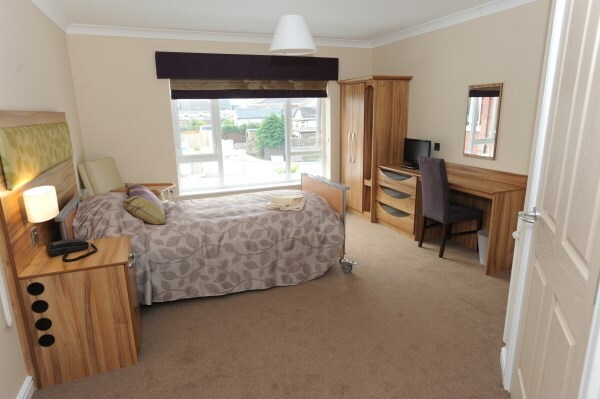 Hughes Furniture furnished the bedrooms in this 65-bed home in Bangor, Co. Down with half of the rooms specifically for dementia sufferers. On the opposite wall was a hotel-style large headboard with, on one side a fridge unit and on the other a locking bedside cabinet with “scooped-out” drawer. These bedrooms were delivered and fitted by our own team and project-managed by one of the directors at Hughes Furniture.